Today’s adversaries use mutation to avoid detection by traditional security tools, leaving security gaps that can lead to a costly data breach. EventTracker Endpoint Detection and Response (EDR) service enables proactive prevention against malware and advanced threats by detecting and blocking them as they unfold on servers and workstations. EDR enhances endpoint security effectiveness by reducing dwell time at all stages of the threat chain, including lateral movement. Offered as a 24/7 managed service, we augment your staff with hard-to-find cybersecurity analysts. 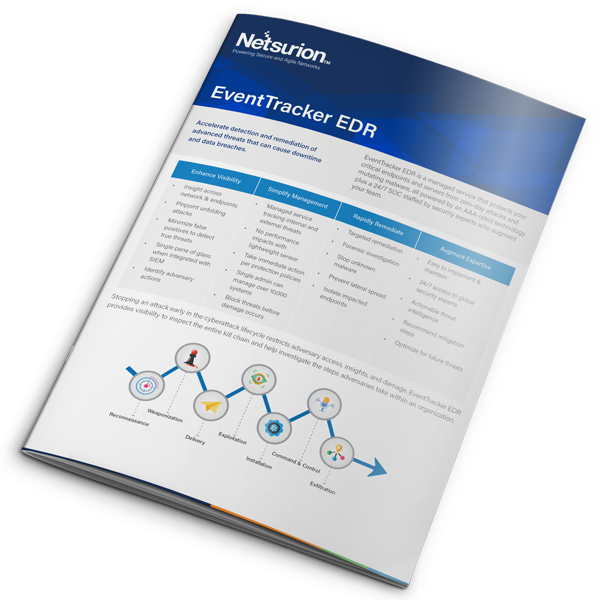 EventTracker EDR provides 24/7 monitoring of your network for insider threats and advanced attacks that evade anti-virus and firewalls. With real-time visibility and remediation, be confident that your network is defended, as you focus on your core business responsibilities. Our use of both EventTracker co-managed SIEM plus EDR services strengthens our existing security investment and protects our global supply chain and valuable customers. Bryan K. Caporlette, CTO G&G Outfitters, Inc.
EventTracker EDR was effective at handling general threats from cyber criminals...and targeted attacks were prevented in all cases. EventTracker EDR was also competent at blocking more targeted exploit-based attacks. EventTracker EDR’s excellent performance wins it an AAA award, putting it in the highest class of security products. 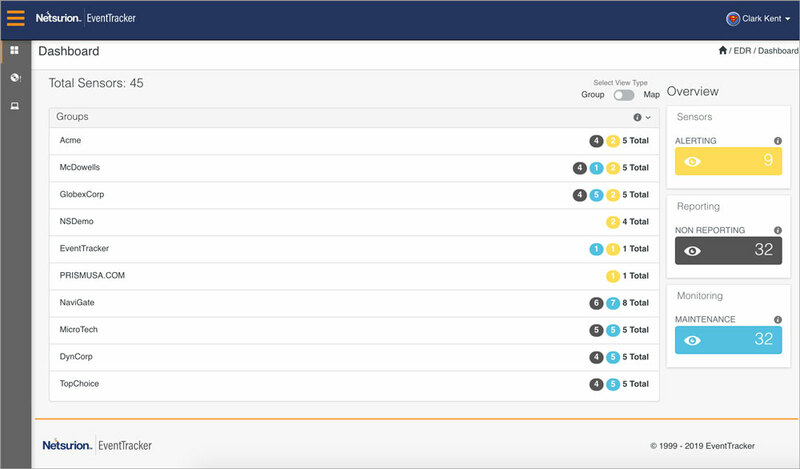 An integrated platform for monitoring, threat detection and response, and compliance.